The Royal Australian Air Force has announced the first two F-35A Joint Strike Fighter aircraft have begun flying operations out of RAAF Base Williamtown this week. Commander of Air Combat Group (ACG), Air Commodore Michael Kitcher confirmed that the phase of operations the two jets will undertake is designed to "verify and validate" the aircraft's capabilities during 2019-20 in the build up to the declaration of the initial operational capability (IOC) at the end of next year. “At the end of 2019, Air Combat Group expects to have taken delivery of up to eight aircraft,’’ AIRCDRE Kitcher said. 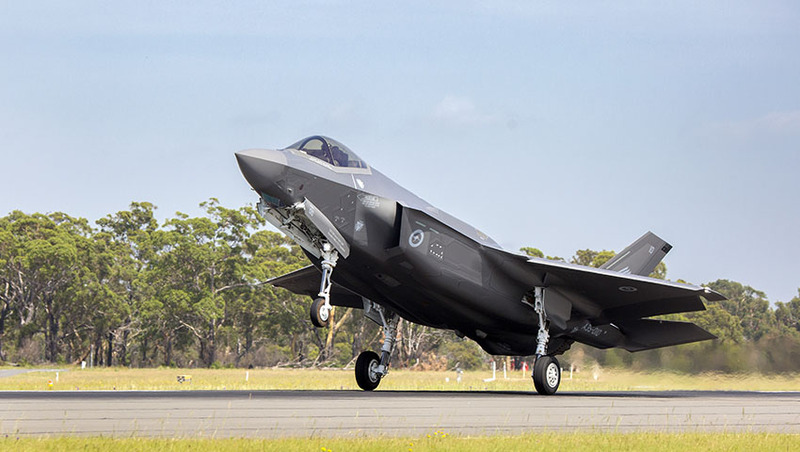 “In December 2020, Australia will have up to 33 aircraft, established a sovereign training capability and completed verification and validation of the Australian F-35A capability. By the end of 2020, one operational squadron will be proficient in air combat, strike and offensive air support, and ready to deploy in support of Australia’s national interests." The IOC process tests how F-35A's weapons system interacts with local ICT systems and infrastructure. The RAAF will eventually have 72 aircraft with the F-35A fleets separated into three operational squadrons. Numbers 3 and 77 Squadron operate out of RAAF Base Williamtown and Number 75 Squadron is based at RAAF Base Tindal near Katherine, Northern Territory. Number 2 Operational Conversion Unit squadron will also fly F-35As out of RAAF Base Williamtown. Williamtown is home to the majority of the $1.5 billion investment to house and support the Joint Strike Fighters, with new facilities including working accommodation, maintenance hangars, storage, workshop facilities, training facilities, aircraft runway and pavement works.